Yes it’s true, and very possible to get free computers for low-income students. You may have already noticed there are real scams online regarding free computers or laptops. 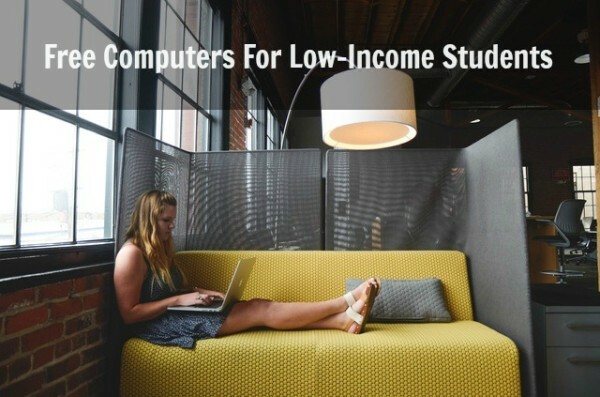 However there are several if not more legitimate programs for which low-income students could qualify for a free computer or laptop. Which I have listed below. 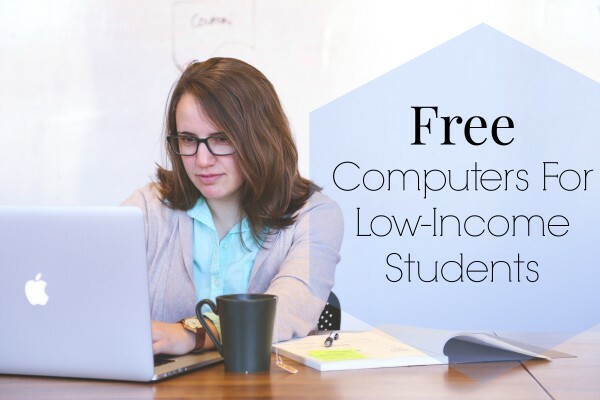 These are real programs that offer real cheap or free computers for students. Being a student comes with lots of expenses, but that’s no reason to give up on your dreams. There are many deals on computers and ways to possibly get free computers for low-income students in need of one. You will find that some programs are only for college students, while others for both students in college and K-12 students too. Not all of these programs listed below are easily explained, so I urge you to email or chat with each programs customer service to get more details and ask questions. Be aware all programs will require some type of verification. PC’s For People has locations in multiple cities in Minnesota such as: St. Paul, Mankato, Grand Rapids and International Falls. They provide affordable personal computers, computer repairs, and internet service to people with limited technological experience due to social, physical, or economic circumstances. 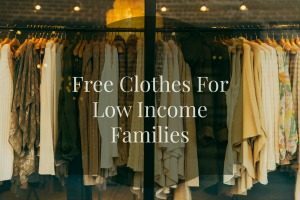 They have listed that any family or individual receiving government assistance or living below 200% of the federal poverty line is eligible for their services. www.pcsforpeople.com. Click here for more information on the programs. InterConnection offers discounted computers for low-income families and students. Computers start as low as $99. Click here for more information. Only people who meet certain low-income criteria are eligible to purchase products. Computers with Causes is another amazing program helping students and people truly in need of a computer. They do a very strict need assessment, background and reference check, which will eliminate any false requests that help to benefit those who are truly in need. You can complete a form listed on their site here, and explain to them why you feel you are a good candidate for a free computer. Please do not call them. The phone lines are only dedicated to “accepting” donations. Please respect this request. EveryoneOn.org is working to eliminate the digital divide by making high-speed, low-cost Internet service and computers, and free digital literacy courses accessible to all unconnected Americans. They work with device refurbishers, so individuals and their families can purchase discounted computers and tablets. Prices include: $150 for tablets and $199 for laptops. Jump On It Program was started by The On It Foundation. Both of these programs offers computers for free or very low cost. The On It Foundation has been providing free computers and computer training to K-12 students and their families for over a decade. This is a national 501(c )(3) public non-profit organization that offers FREE computers and computer training for low income families that have students and students in grades K-12 that attend a public/home school and reside within the United States. That can also provide proof of low-income, such as document of Medicaid, SSI, TANF, GA-U, DSHS support, free or reduced school lunch , or proof that you earn less than $23,800. The Jump On It program is to help families and students that do not qualify for their free computers. This program allows them to purchase a very low-cost computer with their free low cost layaway computer purchase program. Computers 4 Students work closely with schools and other organizations to make certain that computers go to students who need them. By working with schools teachers, social workers and organizational directors who qualify the students, we are confident that the students who they indicate need the computers, that these are families who cannot provide them one. While these computers are not free, they are very cheap. You can purchase a laptop as low as $150 and a desktop cost $80. 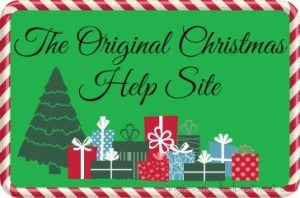 Be sure to click “Need a Computer” at the bottom of the site. Click here for the application form. Computers for Learning does not offer a lot of information on site. However you can have your school register you for a free computer by getting started where is says “Schools – Handy Helper School Instructions at the bottom. Then click the link for further instructions. Please note: schools are only eligible if they can provide a National Center for Educational Statistics (NCES) number issued by the U.S. Department of Education. If you are an educational nonprofit organization you must supply a valid 501C number on the registration form. Click here for more information. Sys # 1301nw: Core 2 Duo / Duo Core desktop, 1 GB memory, 160+ gig HDD. Sys # 1304nw: Laptop, 1.0 GB memory, 80+ GB HDD, AC adaptor. Requests for computers must be submitted on letterhead with the following information. Applicants will receive a response within 30 days. If approved, the applicant pays the cost of shipping. The CRC system# of the computer you want. The software programs you intend to run on the computer. How you will use the computer in your program. Who will benefit from this computer. GiveTech.org may be able to help with a partial or full subsidation for hardware, software or peripherals. If you know of someone in need of assistive technology for computer access, please let them know. Simply click here and follow the steps to submit the online assistance form. They will then get in touch with you. NotebooksForStudents.org program offers student discount laptops to students attending Primary, High School, College, Homeschool & BYOD. 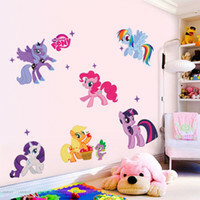 Some of these can be a bit higher priced but they do have some as low as $175 on occasion even cheaper. This site is worth keeping an eye on to find a computer at a discounted price. There are more listed here and here. Still didn’t find a computer? 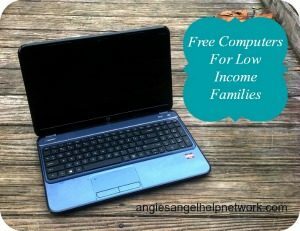 Try my even larger list of Free Computers for Low-income Families. These are just great programs because it will be helping a lot of people. I wish there are more programs like these. Thank you for the comment Derek. The information above will help greatly in getting your daughter a computer for school. This is a great list of free computers for low income students. It is so hard for those who are low income to afford anything when you are living day to day. The list of programs can be a god sent to so many people who are trying to go to school to make a difference. Thanks for sharing the lists. Hi I am just a students studying I got pregnant from a 34 year old CIA agent and I didn’t see that coming I got twin girls and he never call me since and I can’t make any research for my homework When I am home I got very bored if I need to do my homework I Got to stay at school and sometimes I can’t stay for long or go to the library but I have to pay bus which I don’t even have money to take care of my babies. Feel free to use the information above to help. It’s so great that low-income students can get free computers. There’s so much that you can learn with access to technology. Sweet, I had no idea this even existed. I know a few youngsters that could benefit from this post. It’s great that there are programs to help low income students obtain computers. Having a computer is a necessity when going to college. What a great program! Thanks so much for sharing this info. What a great resource! I’m so glad to know that there are programs like these to help low-income students. I am totally sharing this! I do agree that low income families should be able to get their kids into school. Every kid deserves an education. Thank you however this is for free computers for low income students. Every student has a chance at education. This sounds like a great program! It’s getting so that you basically can’t go to school without a computer and so I am glad there are programs like these available!! This is a wonderful list. I had no idea this was even offered. I knew about cellphones but not computers. Yes, that’s why I share this information, because so many people in need have no idea they have these programs. 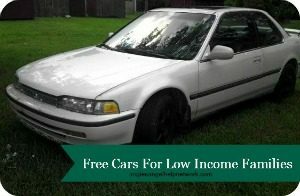 This is a wonderful program for people that have low income. Education is important, but it can be really expensive. Yes it sure it. I am happy to find and share these programs. So nice to know theres options like this! I will definitely share the info! 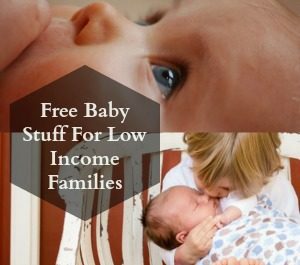 This is great information for low income families! This is so great. Even though the cost of computers has come down significantly it is still a very costly investment, especially when there are so many other expenses to think about. I agree, and thank you very much. Be sure and share with those who need it. What wonderful programs. I am glad that there are options out there for those that can’t afford computers. Me too. Thank you very much. This is an amazing resource list! I am so glad there are programs like this to help students. Thank you. Pass the word to help another. I love that so many places are able to help out students!! In this age you can’t get far in school with out a computer or the internet it seems. I agree, I also hope to see more places like this in the future. What a wonderful program! The financial situation of a family shouldn’t put a smart kid at a disadvantage. I love it! I love that low income students can get a free computer. Just because a student doesn’t have a ton of money doesn’t mean they should be at a disadvantage. I agree, and also love that we can find programs like this for our kids who need it. I am so happy that I came across this blog. I have an 18-year-old daughter that needs help with the prom this year. 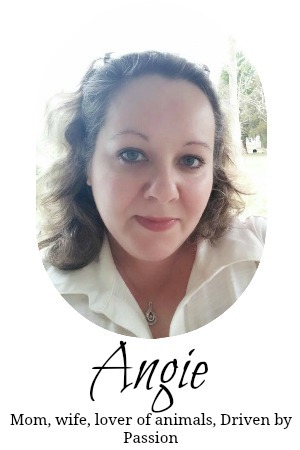 I am disabled and very low-income single parent. I simply can’t afford dress shoes the tickets and the senior class package. hair makeup and nails. are there any programs that help students in the Norwich CT area?